In a definite victory for women's rights, the Supreme Court ruled 5-3 to strike down Texas House Bill 2 (HB2), a law which placed extensive restrictions on abortion clinics and made it so that many women seeking safe and legal abortions in the state would have to travel hours to find a clinic. 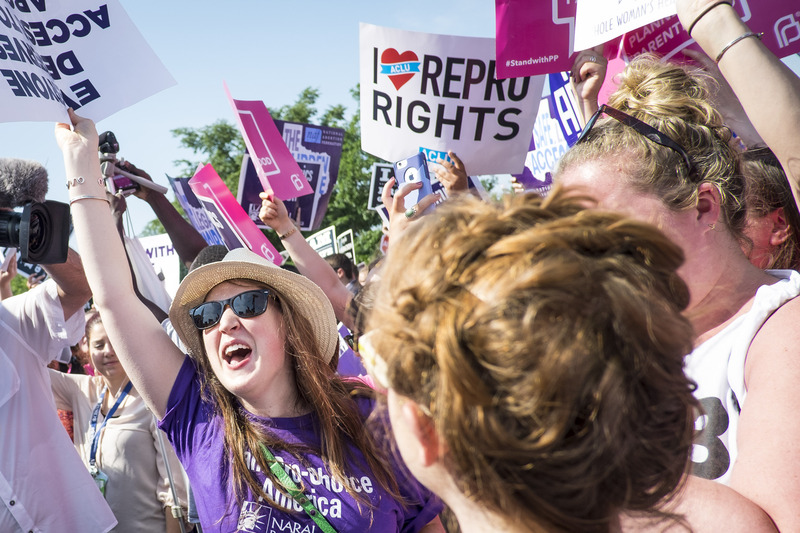 This is one of the most significant abortion rulings to happen in 20 years, and is definitely a win for women's rights and reproductive health. But even though you are busy celebrating the decision, take a moment to look at these videos and photos of interns running outside the Supreme Court after the decision was released. It is seriously one of the best things you will see all day. The "running of the interns," as C-SPAN so eloquently phrased it in a Vine that made the internet rounds last year following the Supreme Court's landmark gay marriage ruling, is something of a tradition following important Supreme Court decisions. As WIRED explained in a piece last year, SCOTUS rulings aren't immediately communicated digitally — they're first reported on this weird and ancient material known as paper. So those pages you see clutched tightly in the interns' hands as they dash by are the initial copies of the SCOTUS decision, and that look of pure adrenaline you see on their young, sweet faces happens as they run as fast as they humanly can to bring the ruling to their respective media outlets from the SCOTUS public information office. Cute, right? .... And here's that Vine I mentioned following the 2015 SCOTUS decision legalizing gay marriage across America. It's just too good not to rewatch. See? I told you. Too. Good.